The IT infrastructure world is getting more interesting each day. EMC just announced VSPEX BLUE hyper-converged infrastructure appliance today to join the growing community of vendors trying to bring scale and simplicity to IT infrastructure. Converged Infrastructure appeared on the horizon a few years ago with VCE leading the way with their VBlock converged infrastructure units. ‘Converged’ here implied the aggregation of server, storage and network devices integrated physically and managed through a converged infrastructure management software. VCE was formed as an alliance of VMware, Cisco and EMC and quickly established a new way for infrastructure procurement and management in private cloud environments. It also attempted to break down silos between different infrastructure groups in enterprise IT organizations. We then saw several other industry leaders join this movement. 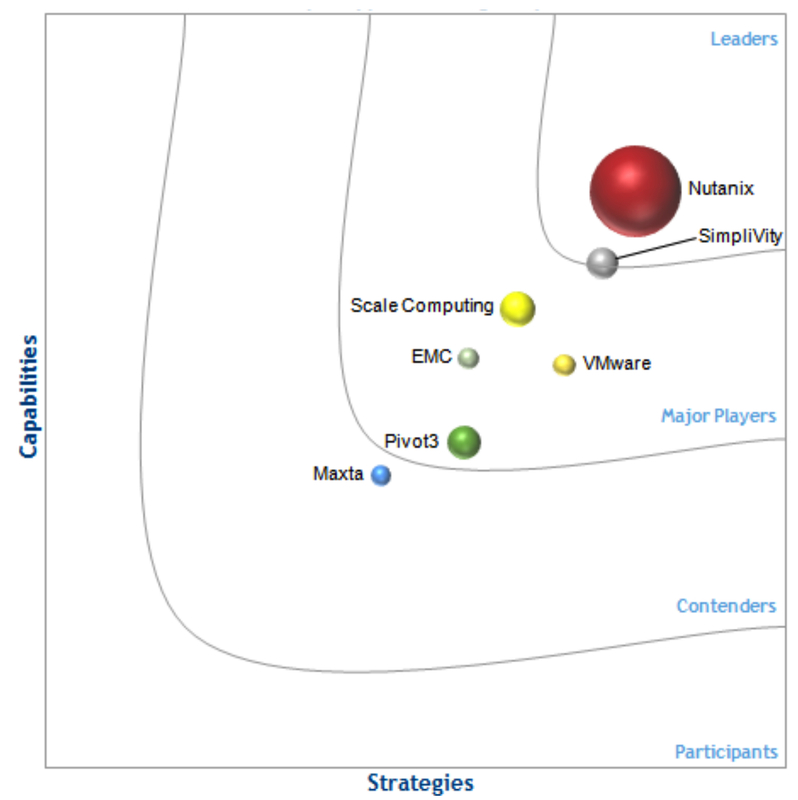 Netapp’s FlexPOD, EMC’s VSPEX, IBM’s PureSystems emerged as competitors. Dell and HP have their own solution and recently Oracle released new X5 Converged Infrastructure appliances as a refresh of their product line. Ready for out of box deployment, Oracle experts integrate, optimize, automate, test, patch, and support the full software and hardware stack of an engineered system, significantly lowering customer costs. That type of value is what most vendors are pitching. Enter Hyper-Converged Infrastructure. With the Converged Infrastructure model described above, enterprises got benefits of packaging of infrastructure units and some level of management. However, there were some limitations specifically around storage performance, capacity/scale, mobility, access speed etc. A new set of companies tried to solve these issues through offering a Hyper-Converged Infrastructure product which included virtualization software, server, storage and network switching all in a contained x86 based appliance. This eliminated the need for traditional storage arrays. The hypervisor has direct access to storage resources and therefore performance benefits are achieved. Additionally, this offered a highly scalable data center building block suitable for today’s cloud style infrastructure. Companies such as Nutanix, Simplivity, Scale Computing, NimBoxx etc are leading this arena. These companies are getting a lot of attention from Venture Capitalists. Per IDC, Nutanix alone has raised $317 million in funding from top-tier investors, including Fidelity, Wellington Management, Lightspeed Venture Partners, Riverwood Capital, and Khosla Ventures. Scale Computing is also utilizing virtualization and focusing on high availability through its HyperCore Converged Management software. VMware joined the Hyper-Convergence space last year. They released VMware EVO:RAIL and partnered with OEMs such as EMC, Supermicro, Dell, Fujitsu etc to offer a vSAN based solution. The EMC VSPEX BLUE hyper-converged infrastructure appliance is also powered by VMware EVO:RAIL and has EMC management software included. Per EMC, the VSPEX BLUE appliance enables customers to go from power on to provisioning virtual machines in under 15 minutes, offering impressive time to value when compared to other hyper-converged infrastructure offerings. It will be interesting to see how this release impacts VMware’s EVO:RAIL partnerships as this product has the potential to compete with the OEMs VMWare just signed up. EMC is eyeing opportunities around infrastructure consolidation projects, virtual desktops in large remote or branch offices and managed service providers. Several distributors such as Arrow, Avnet, Networld, TD Azlan and Tech Data have signed up to carry this product.